Semal Se | Atul Giri | OK Listen! 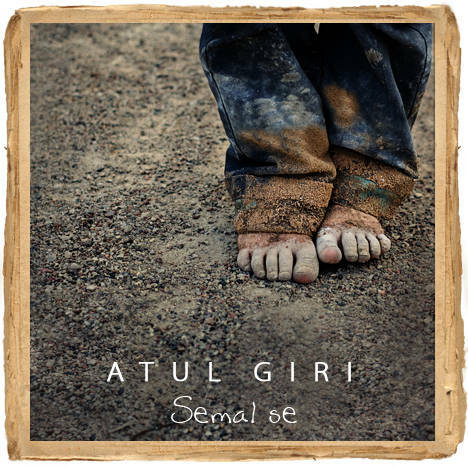 Atul's debut album ‘Semal se’ is a sincere compilation of 5 slow and medium paced songs that are reminiscent of Atul’s own times growing up wondering and deciphering the great deal of the world. The songs ‘Semal se’ and ‘Hum Patang’ are like the painting of childhood memories on a musical canvas. Trailing a child’s state of awe of the surreal kapok trees and the beautiful flight of kites, these two songs cast a serene spell on its audience. While the crooning layers of guitar in the tree song ‘Semal se’ almost certainly creates a visually nostalgic passage for a listener, the melodious riff of ‘Hum Patang’ pulsating in a breathtaking ambience metaphors the journey of everyone’s life with that of a kite. The spacey and echoing persona of ‘Bhai Waziri’ is an ode to the selfless sacrifices of brotherhood. Moulded with the reverberating guitar hooks, the lyrics of ‘Bhai Waziri’ travels far and wide, carving as it goes, its own depths for a listener to dive in. ‘Mashaal aur hawa’ literally translated as ‘Torch and Wind’ is a song of optimistic struggle. It earnestly covers the perseverance of farmers, labourers and alike in India. The organic resonance of acoustic guitar and thump-steady percussion bring certain hint of ‘world’ vibe to it. ‘Ik Had Hain Hum’ carries life’s higher realizations. Coiled in a tiny story of a little girl and her mud-dolls, the song finds a vital teaching of ‘life-death cycle’ as it’s sung. Crafted under the light of thoughtful piano and strings the song ends the album on a very introspective note. Aditya R. Kombra – Cellist. Aditya is the cellist behind the heart-wrenching solos and background in the songs across the album. As a committed musician his focus has always been his instrument. This devotion has earned him, at a young age, an experience of playing cello for Winterthurer Symphoniker, The National Youth Orchestra of Canada, The India National Youth Orchestra and many other esteemed orchestras. Website Design and Development: Prachod P.K. Special thanks to all the family and friends whose support was pivotal.